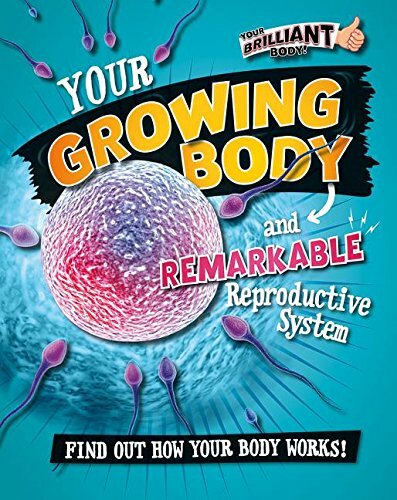 Your Growing Body and Remarkable Reproductive System: Find Out How Your Body Works! Your Growling Guts and Dynamic Digestive System (Your Brilliant Body) | Your Breathtaking Lungs and Rocking Respiratory System | Your Hardworking Heart and Spectacular Circulatory System | Your Mind-Bending Brain and Networking Nervous System | Your Strong Skeleton and Amazing Muscular System | Amazing You! Amazon.com description: Product Description: Provides facts about the reproductive system and the stages of human development from conception to adult, and discusses the importance of making healthy lifestyle choices. About: Provides facts about the reproductive system and the stages of human development from conception to adult, and discusses the importance of making healthy lifestyle choices.